With the end of Bleach manga this year, with the 74th volume, there is some excited news as a pair of novels will be released. 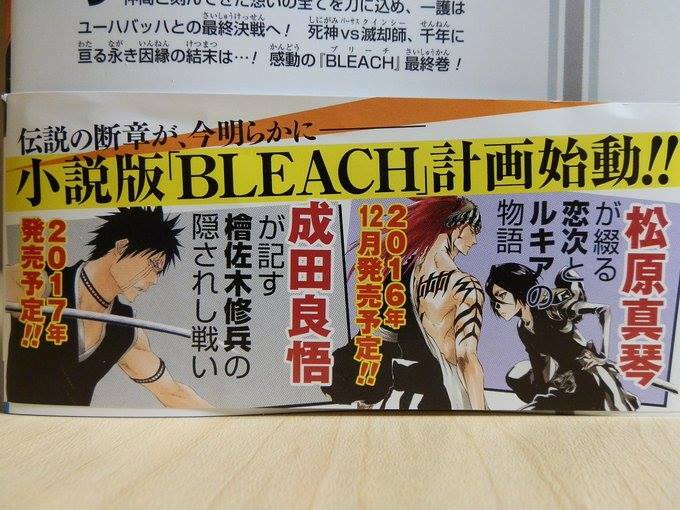 The novels are inspired by Tite Kubo’s Bleach which will released later in the year and next year. The first novel shall be written by Makoto Matsubara, who has done previous work with stories and novels for Bleach, it shall be released later this year, in December. It shall explore the story between Rukia and Renji. The second novel will be written by Ryohgo Narita, who has been a part of Durarara! !’s light novels, will be released later in 2017 which shall tell the story about a secret enemy. With that said, on top of the movie we shall get, it seems like Bleach is getting a lot of attention, especially as there seems to be avenues for it to grow. Nevertheless, I think this is great news, the more attention Bleach gets, the better it is. What do you think? Go ahead and comment down below telling me what your thoughts are. Still wished that Ichigo and Rukia gotten together. Well, whatever Kubo decided was probably for the best, I think it’s personal choice on what you prefer. Man I am liking this. 2 books and a movie. Well if the anime does not come back by the time the movie comes out I would think it probably will never return. I really really hope the anime does return and does the last story. It would be long and really good. Time will tell I guess. Hey Sunite, how are you man?. I can’t wait for the light novels. I bet we will see Rukia and Renji’s weeding. And we will finally see Shuuhei’s Bankai and his fight with Mashiro to master to it. 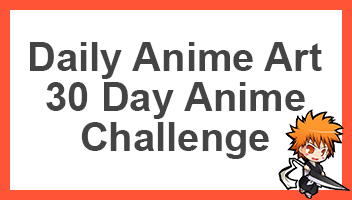 I’d love to see all of that, although I don’t think I’ve come across Bleach light novels, or read them. Might be worth investing in I think. Do you remember the short story I found about Izuru coming back from the dead and fighting Shaz Domino? That was a light novel. The Spirits Are Forever With You is also a light novel. That one is about the 8th Kenpachi. One thing I can say is, it is good we get more Bleach, because the more we get, the more chances of the Anime coming back, but I won’t wait forever, just a full year now. I agree. We can only wait so long.